Alex Forrest is a current Captain of the Winnipeg Fire Department. Alex joined the Winnipeg Fire Department in 1989 after serving in the military. He obtained a Bachelor of Arts and then worked as a full time firefighter while he pursued a Bachelor of Law at the University of Manitoba. He was called to the Bar in 1996 and went into private practice, but rather than continuing a career of private practice he became President of the United Fire Fighters of Winnipeg. He has remained a Fire Fighter throughout his years as President of UFFW. Alex is a Canadian Trustee of the I.A.F.F. and he represents 25,000 I.A.F.F. firefighters and paramedics across Canada. In 2012 Alex Forrest was one of the original 60 recipients of the Queens Jubilee Medal for his work on Presumptive Legislation and Fire Fighter Issues. He has been part of many campaign teams for high profile candidates in elections at the Federal, Provincial and Municipal levels, always supporting politicians who understand Fire Fighter issues. In 2015 Alex Forrest received the “Mary Beth Dolan Award”, this is the highest award for firefighters in Manitoba. This award is given to firefighters who have contributed to the overall safety of firefighters and the public in an exeplanary manner. Alex Forrest is a published author and has recently co-published a book dealing with the Science and issues Surrounding Occupational Cancer and Firefighting. This book is now seen as one of the most important scientific works on this issue, both internationally and in North America. It is currently selling in over 12 countries around the world. 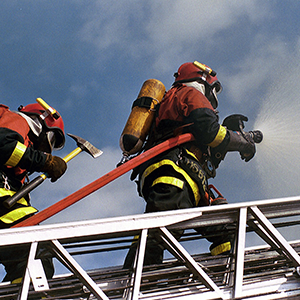 He has been involved in many medical studies dealing with cancer and fire fighters, has helped to educate medical doctors on the issues surrounding fire fighters Occupational Diseases. Alex Forrest has been a worldwide advocate for Proper Compensation for firefighter diagnosed with Occupational Cancer. He has assisted governments and jurisdictions around the world. 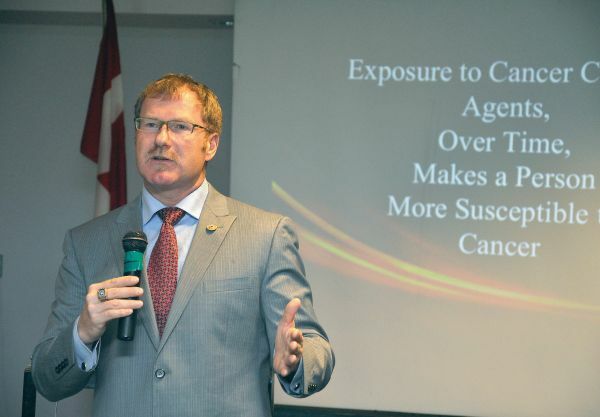 He was involved in many Canadian, Australian and American jurisdictions for creating laws recognizing the connection between cancer and firefighters. He has been a health advocate for fire fighters around the world for 20 years. Mr Hansen is currently a researcher and a fire consultant, specialized in fire safety in underground hard rock mines as well as wildfires. In 2015 he successfully defended his doctoral dissertation on heat release rates of mining vehicles in underground hard rock mines. He has published a number of papers and reports on the fire behavior in underground hard rock mines and on wildfires. His research interests are: fire dynamics in underground mines, suppression of fires in underground mines, smoke spread in underground mines, fire dynamics – wildfires, suppression of wildfires, fire management - wildfires and ignition of solid materials. Besides his research activities he has more than 20 years of experience as a firefighter, fire officer as well as a fire protection engineer. He has done a vast amount of volunteer work as a Forest Service volunteer and at a helitack crew. From 1998 and onwards he served as a chief fire officer at a number of fire and rescue services in Sweden, later switching to the mining industry and commencing his doctoral studies. He has served as a national expert on fires in underground structures and wildfires at a governmental agency. He has also served as a project manager on a European project on hazardous materials and fire behavior/suppression. He is the author of the Swedish textbook on wildfire suppression. 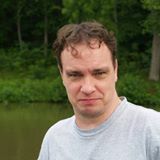 Rickard holds a MS degree in Fire Protection Engineering from Worcester Polytechnic Institute (USA), a BS degree in Fire Safety Engineering from Lund University (Sweden), a MS degree in Mathematical Modelling from Blekinge Institute of Technology (Sweden) and a MS degree in Space Engineering from Umeå University (Sweden). During his PhD studies he served as a guest researcher at Worcester Polytechnic Institute (USA). 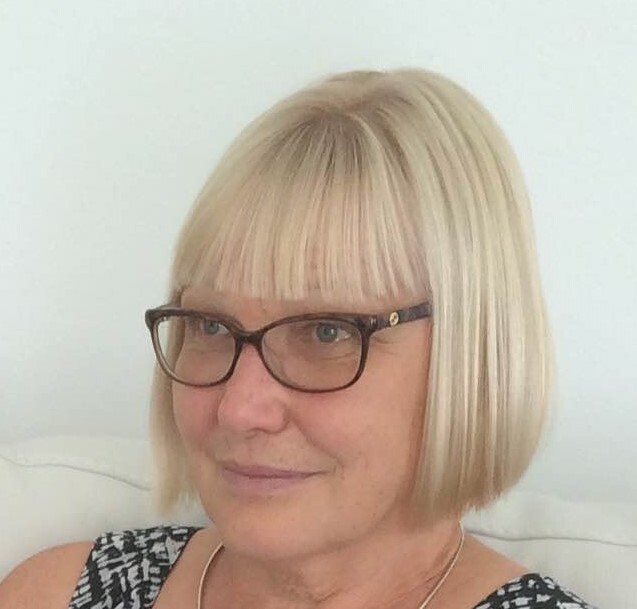 Dr Sirpa Lusa is a Senior Researcher and Adjunct Professor working in the Finnish Institute of Occupational Health in the Occupational Safety – Research and Service Centre, in Tampere. One of her interest area is assessment and development of (physical) work capacity among workers doing physically demanding work. The aim of the work is to maintain and enhance workers’ work ability during whole work career. The aim is to find methods and means for the use of workers themselves as well as for work communities, for example together with occupational health and safety experts. Mr Chalifour works as a Deputy Chief of Staff of the Paris Fire Brigade (BSPP). He is also head of Operations and in charge of operations and training as well as mitigation, planification and prevention offices. 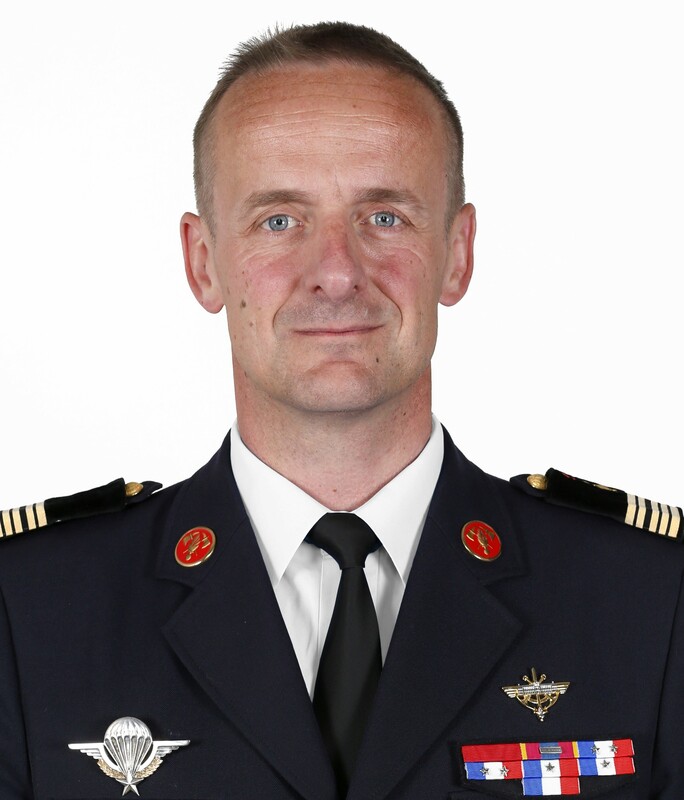 In his previous line of work he has been a chief of “studies and prospective” office at the BSPP, commanding officer of the 1st fire group (Northeast Paris + Seine Saint Denis) as well as a deputy commander of the 1st fire group, among other things. He has diplomas from Military Academy (international relations), War College and he has also a diploma from Higher Staff Course. Ivana Kruijff-Korbayová is a senior researcher and project leader in the Language Technology Lab of the German Research Center for Artificial Intelligence in Saarbruecken, Germany (since 2008), where she is leading the Talking Robots Group (since 2013). She holds a degree in Electrical Engineering from the Czech Technical University (1992) and a PhD in mathematical linguistics from Charles University (1998), Prague, Czech Republic. 1999-2000 she held a British Academy Visiting Fellowship and a Royal Society / NATO Postdoctoral Fellowship for research in discourse semantics at the University of Edinburgh, U.K. 2001-2010 she held a research position at the Department of Computational Linguistics and Phonetics, Saarland University, Saarbruecken. Her research includes various topics in discourse and dialogue modeling and context-sensitive natural language processing for dialogue systems and human-robot interaction. She has more than 70 peer-reviewed publications. 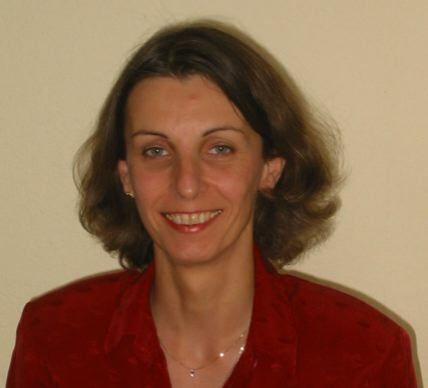 Since 2013 she has been leading the European integrated projects NIFTi (www.nifti.eu) and TRADR (www.tradr-project.eu), which address the cooperation of human-robot teams in disaster response. 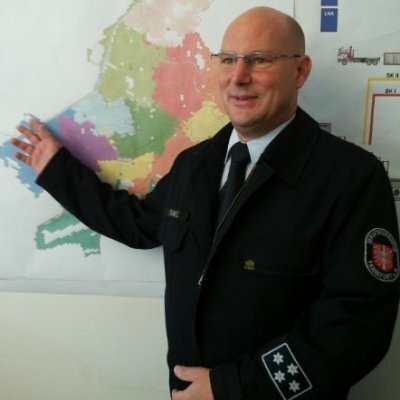 Sven Dunkel works as a Senior Fire-Officer – Head of Planning Squad in the Frakfurt Fire Department (FDF). 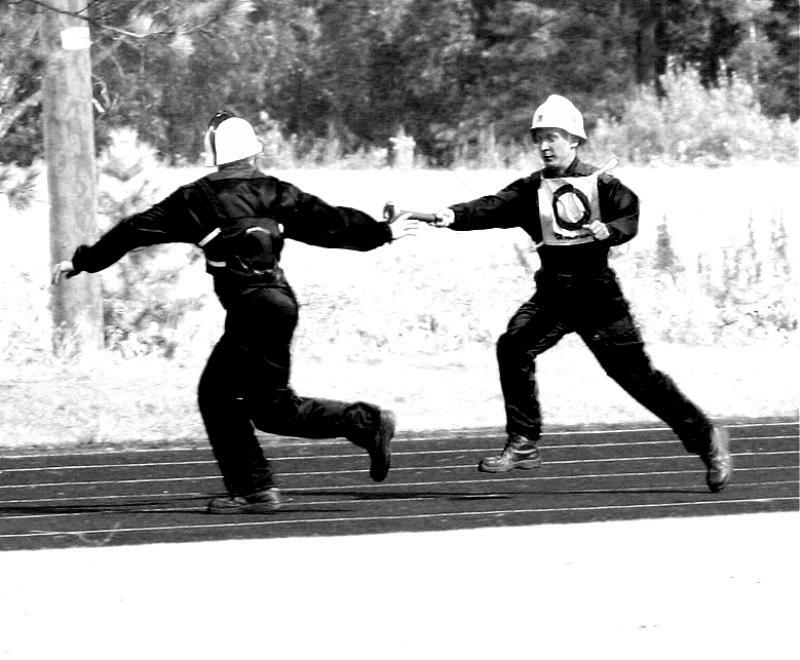 Sven Dunkel started at the FDF 25 years ago as a paramedic and firefighter. In 2000 he was upgraded as an officer at the EMS management. In 2007 he changed into the planning squad. Since 2013 he is the head of this squad at the FDF. Since 2015 he was deployed to some missions by the ministry of exterior for example to the South-East-Asia tsunami (2004), Syria (2006) and by the ministry of interior to Slovenia (2013). In 2010 he was appointed as an expert in the civil-protection-mechanism of the European Union. With the beginning of new refugee situation in Hessen and Frankfurt he worked in the operational headquarter of the FDF. Since november 2015 he was nominated to the administrative department of refugee management in order by the Mayor of Frankfurt as the head for the accommodation and integration in Frankfurt. Dr. Kari Peräjärvi is a principal advisor at the Finnish Radiation and Nuclear Safety Authority - STUK. He has more than 20 years of experience in nuclear physics with about 130 scientific publications. Among other things at STUK he has been heavily involved in the development of nuclear security detection techniques. 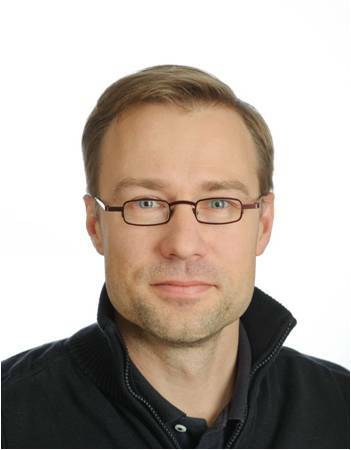 Currently Dr. Peräjärvi is also appointed as an Adjunct Professor at the University of Jyväskylä, Finland. Detection of ionizing radiation has played a key role throughout the career of Dr. Peräjärvi. Before joining STUK in 2006 Dr. Peräjärvi has been working in Lawrence Berkeley National Laboratory (California, USA), CERN/ISOLDE (Switzerland), Helsinki Institute of Physics and University of Jyväskylä, Finland. He assumed the role of GICNT (Global Initiative to Combat Nuclear Terrorism) Nuclear Detection Working Group Chair following the June 2015 Plenary Meeting in Helsinki. "An event during which decisions are made, friends are met and new things are learned." © 2019 CTIF Delegates' Assembly 2016.